by Gary Cobb & Richard C. Willan. 2006. 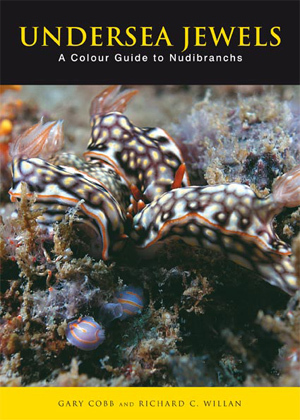 310 pages filled with over 700 photos of 277 species of sea slugs from the Sunshine Coast of Australia (off Brisbane). For many of the species photos in close ups of gill, rhinophores, notual texture, underside of foot and eggs, etc. Several new occurrences to eastern Australia are noted.